According to a recent informal poll at the Landry Academy Homeschool Mom's Retreat, teaching our students to write well is a dreaded task. My own interaction with home educators would agree with this poll and add that grading the writing is also a daunting task. I am a firm believer that a student who regularly reads good literature will be a better writer. Being exposed to a variety of writing styles and voices will help a writer develop their own voice and style. A student who writes regularly will also become a better writer. Students should, ideally, write something at least every week. This could be a journal entry, letter, essay, short story, book report, or lesson summary. I have found the Rod and Staff English Grammar texts to be a very thorough and affordable curriculum to teach grammar and writing. However, through the years, I have found a couple additional resources to be invaluable for teaching and evaluating writing. The first one, The Elements of Style, Fourth Edition , was introduced to me when my daughters took a writing class at our local enrichment classes. The class was taught by a homeschool dad who was also a professor at the local private college. The book, by Strunk and White, is short and easy to read. It is an excellent writing handbook. I have used this book in some writing classes that I have taught. I require the students to read the book and use it as a reference tool to improve their writing. My children like this book so much that they take it to college with them and I have to keep buying another copy to have at home! A FREE resource I discovered when I taught a writing class last year is the Purdue University Online Writing Lab.The teacher and the student can use this site. I think you could use this as a writing curriculum by working through each topic in the 7th-12th section. I especially like the Paramedic Method for evaluating writing. I find that students tend to use too many 'to be' verbs and sometimes throw in words just to lengthen a sentence. The Paramedic Method forces students to write more concisely. It is hard work, but produces better writing. Another evaluation option that I like is a writing rubric. Many different free rubrics can be found online or you can develop your own rubric. This is a basic rubric that I found. About.com has an article on creating a rubric for any subject as well as example rubrics. 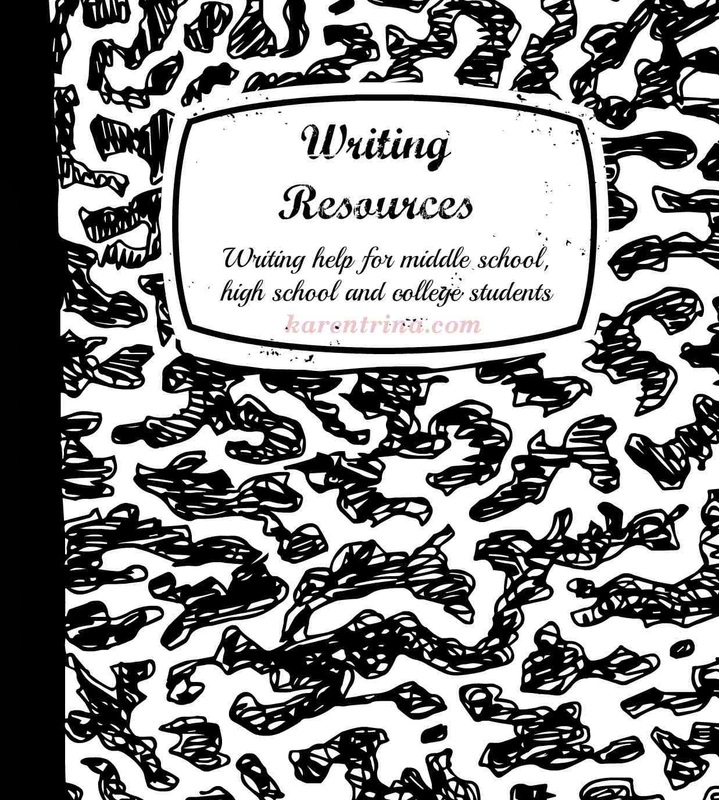 With these resources, you can teach and evaluate writing inexpensively or for free. Your student could also use these resources for a self-directed writing program. Don't let writing intimidate your or your student. As with any skill, practice is key! I think I could use these writing resources! Thanks so much from me and my middle school/high school students.